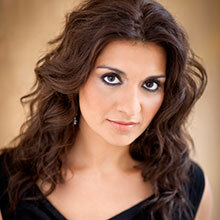 Isabel Bayrakdarian is an eagerly anticipated visitor to opera houses and concert halls the world over. On the opera stage a notable early success occurred in the Lyric Opera of Chicago’s world premiere production of William Bolcom’s A View from the Bridge; followed a year later by first prize in Plácido Domingo’s Operalia competition. Ms. Bayrakdarian’s Juno and Grammy Award-winning discography includes projects as diverse as baroque arias about Cleopatra, 19th century songs of Pauline Viardot-Garcia, Mozart arias and duets; Spanish, Brazilian and Argentine songs; Mahler’s Symphony No. 2; the soundtracks to The Lord of the Rings: The Two Towers and Ararat; and a dance remix with the trance band Delerium. Born in Lebanon, Ms. Bayrakdarian is proudly Armenian by heritage; Eileen Thalenberg’s television film A Long Journey Home, which movingly traced her first visit to her ancestral homeland, won a Best Documentary nomination in Canada’s 2006 Gemini Awards. Canadian-born cellist Adrian Fung enjoys a multi-faceted career as a chamber musician, soloist, guest artistic director, teacher, and audio producer. He is a founding member of the Afiara Quartet, winner of the Concert Artist Guild International Competition in New York, the Young Canadian Musicians Award, and top prizes at the Munich ARD and Banff International String Quartet Competitions, including the latter’s Szekely Prize for Best Interpretation of Beethoven. 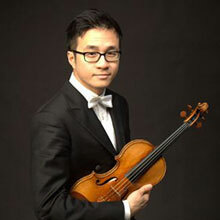 He has appeared as soloist at Carnegie Hall, Toronto Centre of the Performing Arts, and Taiwan’s National Concert Hall. Praised for his “superb” and “brilliant” performance (New York Concert Review), his virtuosity (San Francisco Classical Voice), and as a “consummate interpreter” (Ontario Arts Review), Adrian was a winner of the Artists International Competition in New York. Adrian earned his Bachelor’s degree from San Francisco Conservatory and Artist Diploma from The Juilliard School, where he also served as teaching assistant to the celebrated Juilliard String Quartet. In May 2005 Grisha was awarded the prize for Best Performance of Spanish Music at the VI International Classical Guitar Competition "Julian Arcás" in Almería, Spain. Grisha received his Bachelor, Master and Doctor of Musical Arts (dissertation pending) degrees from the New England Conservatory of Music in Boston, where he studied under famous guitar virtuoso Eliot Fisk. Juliette Kang, born in Edmonton to Korean parents, was a child prodigy who began violin lessons at age four and made her concerto debut in Montréal at seven. At age nine, she was accepted as a violin student on scholarship at the Curtis Institute of Music in Philadelphia and became a student of Jascha Brodsky. By age 11, Kang had garnered international attention, winning top prizes at the 1986 Beijing International Youth Violin Competition in China. At age 13, she became the youngest artist to win the Young Concert Artists International Auditions in New York. In 1992, she won first prize at the Menuhin Violin Competition of Paris. She has recorded two discs for CBC Records, including the Schumann Violin Concerto with the Vancouver Symphony. Juliette is currently the First Associate Concertmaster of the Philadelphia Orchestra. She came to Philadelphia from the Boston Symphony, where she served as assistant concertmaster from 2003 to 2005. Prior to that, she was a member of the first violin section of the Metropolitan Opera Orchestra from 2001 to 2003. Cellist Thomas Kraines has forged a multifaceted career, equally comfortable with avant-garde improvisation, new music, and traditional chamber music and solo repertoire. Mr. Kraines has been heard with ensembles such as Music from Copland House, Concertante, Mistral, the East Coast Chamber Orchestra (ECCO), and the Network for New Music. 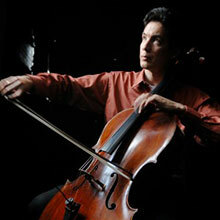 Thomas Kraines premiered his composition "Three Cello Etudes" at the Moab Music Festival’s Virtuoso concert in 2003, and his "Duo for Violin and Cello" with his wife, violinist Juliette Kang, in 2001. In 2000, his "Mermaids: Four Cello Etudes" was choreographed by Harold Sun and performed by the University of Pennsylvania Dance Company. Formerly a member of the Peabody Trio, he currently performs as a duo with his wife, violinist Juliette Kang, as well as with the free improvisation duo Dithyramb (with percussionist Cameron Britt). Mr. Kraines has taught at the Peabody Conservatory, the Longy School of Music, the Killington Music Festival, Yellow Barn, and the Walden School, and is currently on the faculty of Temple University. 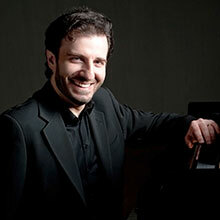 Serouj Kradjian’s discography includes the acclaimed Transcendental Etudes and Piano Concerti by Franz Liszt, and Robert Schumann’s three sonatas for violin and piano (with Ara Malikian). With Isabel Bayrakdarian, he recorded songs by Pauline Viardot-Garcia, winning a 2006 Juno award for Classical Album of the Year. 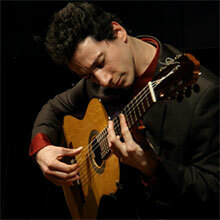 His explorations of tango and flamenco music have led to the critically acclaimed recording project “Tango Notturno” and the North American concert tour of “Reimagining Flamenco” with virtuoso flamenco guitarist Grisha Goryachev. Teng Li is establishing herself as a diverse and dynamic performer internationally. Ms. Li is also an active recitalist and chamber musician participating in the festivals of Marlboro, Santa Fe, Mostly Mozart, Music from Angel Fire, Rome, Moritzburg (Germany) and the Rising Stars Festival in Caramoor. She has performed with the Guarneri Quartet in New York (04/05), at Carnegie Hall (Weill Recital Hall) and with the 92nd St. “Y” Chamber Music Society. Ms. Li has won top prizes at the Johanson International and the Holland-America Music Society competitions, the Primrose International Viola Competition, the Irving M. Klein International String Competition and the ARD International Music Competition in Munich, Germany. She was also a winner of the Astral Artistic Services 2003 National Auditions. 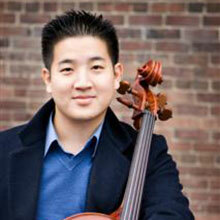 Teng is a graduate of the Curtis Institute of Music in Philadelphia. 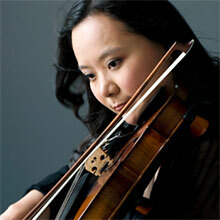 Jasmine Lin has appeared as soloist with orchestras around the world. She was a prizewinner in the International Paganini Competition and took second prize in the International Naumburg Competition. The New York Times describes her as an "unusually individualistic player" with "electrifying assertiveness" and "virtuosic abandon." She has been an adjunct faculty member at Northwestern University and DePaul University and was a faculty member of the Taos School of Music in New Mexico. 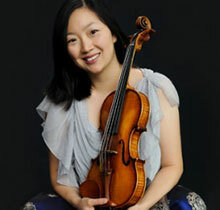 Ms. Lin is a graduate of the Curtis Institute of Music. She gave her New York debut in Merkin Hall, where the program included her poetry set to music. Her poem The night of h's received Editor's Choice Award from the International Poetry Foundation. 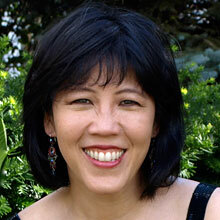 Ms. Lin is a member of Trio Voce, which has released two CDs; Inscapes and In a New Light. 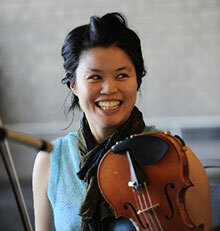 Ms. Lin is also a founding and current member of the Formosa Quartet, which won first prize in the 2006 London International String Quartet Competition. She is on the faculty at Roosevelt University and is a proud native of Chicago. Pianist Patricia Tao, founding member of the Guild Trio for ten years, leads an active career as performer, teacher, and concert organizer. As a soloist, Dr. Tao has toured Europe and the United States under the auspices of the USIA and for Columbia Artist’s Community Concerts series. An avid chamber musician, Patricia Tao performs frequently with fellow Trio Voce members, violinist Jasmine Lin and cellist Marina Hoover. Dedicated to the performance of new works, Dr. Tao has commissioned and premiered numerous works, including William Bolcom’s Spring Trio and Sheila Silver’s To the Spirit Unconquered, which she recorded on the CRI label. She has also recorded a solo CD on the Arktos label and Chopin and Strauss cello and piano sonatas on the Centaur label. As concert organizer, Dr. Tao is the Artistic Director for the Edmonton Chamber Music Society’s Summer Solstice Festival. She also organizes the Hear’s to your Health Concerts at the Walter Mackenzie Health Sciences Centre at the University of Alberta, which features both local and international musicians. Dr. Tao received her doctorate from Stony Brook University under the tutelage of Gilbert Kalish, after studies at Harvard and Indiana Universities, where she studied with Leonard Shure and Gyorgy Sebok, respectively. She was an Artist-in-Residence at the University of Virginia for two years, and since 2002, has taught piano and chamber music at the University of Alberta, where she is Associate Professor of Music. As soloist, he has appeared with the orchestras of Montreal, Toronto, Lausanne, Newfoundland, Juilliard, Aspen, McGill Chamber and Edmonton. In May of 2012, he closed the MSO’s inaugural season in the Maison Symphonique with Shostakovich’s First Violin Concerto, conducted by music director Kent Nagano, and he performed as soloist and concertmaster in Ravel’s Tzigane and Rimsky-Korsakov’s Scheherazade with the MSO on their tour of South America in April of 2013.